Pastor Harry Thomas, Jr., co-founder of Come Alive International, the founding organization of Creation, has announced a new partnership with GND Music, LLC, under the leadership of Troy Duhon, Executive Producer of the popular film, God’s Not Dead. The joint venture aims to bring interactive elements to the industry’s largest Christian music festivals. “I am blessed and excited to have Troy join with us and our shared vision for festival ministry and evangelism, to see young people challenged in their faith and to know Christ as Lord,” says Thomas. The Creation Festivals, which have been featured in Time Magazine, Fuse, Fox News, VH1, Newsweek and The New York Times, currently consist of Creation Northeast, Creation Northwest, Sonshine Festival and the Ichthus Festival, which will relaunch in 2015. Creation Festivals are located in beautiful premier destinations. Attractions include six stages featuring performances by popular music artists in many genres and internationally-known speakers, as well as multiple events throughout the week, including an Extreme Fun Zone, kid’s entertainment and activities, interactive experiences, exhibits and much more, all for one low price. Creation Festival stages have featured current fan favorites including Owl City, TobyMac, Switchfoot, Lacrae, Chris Tomlin, Needtobreathe, Newsboys, Red, David Crowder Band, Hillsong Live, Casting Crowns, Family Force 5 and Building 429. Previous speakers have included Tony Campolo, Louie Giglio, Reggie Dabbs, David Nasser, Nick Hall and Ann Beiler (founder of Auntie Anne’s). The Creation Festivals currently consist of Creation Northeast, set for June 25-28 in Mt. Union, Pa.; Sonshine Festival, July 16-19 in Willmar, Minn.; and Creation Northwest, July 30-August 2 in Kennewick, Wash. 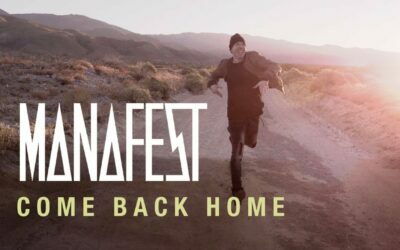 The 2015 relaunch of the Ichthus Festival is scheduled for July 8-11 in Lexington, Ky.
For more information, visit creationfest.com, sonshinefestival.com and ichthusfestival.com. Pastor Harry Thomas, Jr., and Timothy Landis founded Creation East in 1979 in Muddy Run Park in Lancaster, Pa. Since that time, the single festival has grown to two festivals on opposite sides of the U.S. (Creation Northwest was launched in 1998). The events bring together scores of Christian musicians, as well as Christian speakers and authors and a Kids Zone for a family-friendly event. “The Creation family works tirelessly year-round to lay the foundation for people to get away from their normal routines and come to give ‘A Tribute to Our Creator,’ says Thomas. “Nothing can compare to worshiping with tens of thousands of people, being a part of the candle-lighting service, or even watching young and old be baptized. While Creation continues to add to its overall entertainment and artist lineup, the festival has made a conscious effort to keep the tickets at a reasonable price. Advanced tickets range from $39.00 – $99.00 per person for the entire four-day festival, providing the attendees with jam-packed entertainment, lodging and more all for about $25 a day. Creation offers free tickets to kids under 5 years of age. To purchase tickets and for more information, visit creationfest.com.